What a perfect gift for any watch enthusiast!! Keep your collection clean and organized with this wide slot watch case. 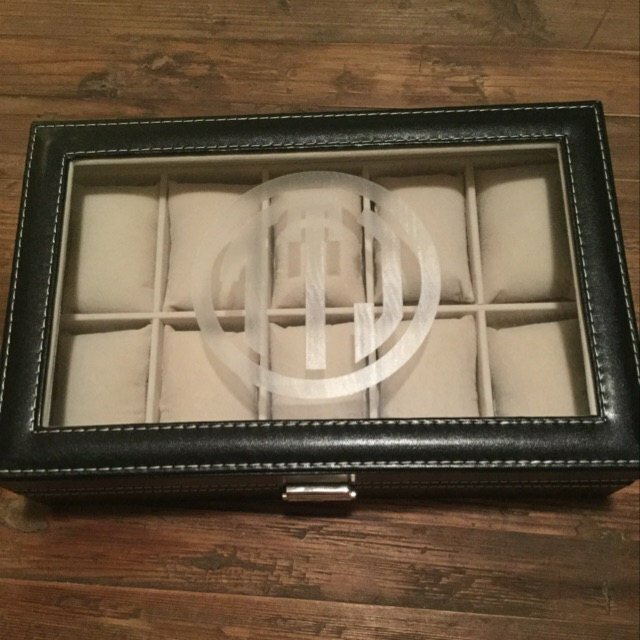 The luxury black leatherette box with white contrast stitching is sure to be an elegant touch in any room. 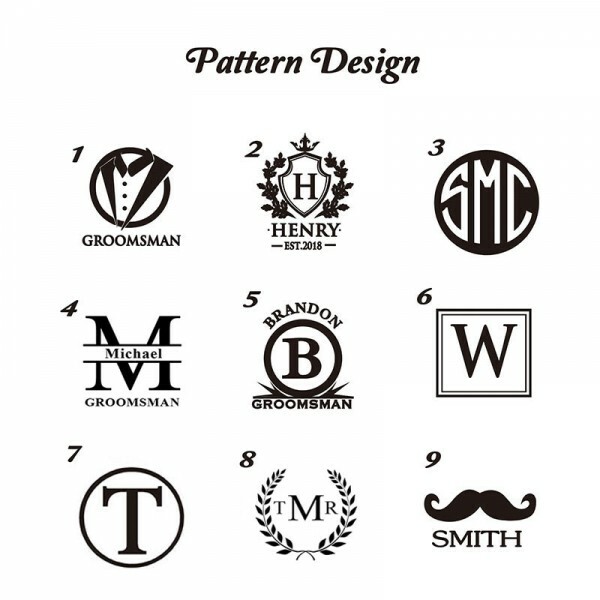 Also, makes a great gift for groomsman, best man, father of the bride, birthdays, graduations, father's day, valentines day, Christmas or any other occasion. During your checkout there will be a "Personalization" box where you can describe your engraving details and personalization. Exactly what I ordered to a beyond perfect T and the packaging for delivery to ensure it stayed safe was very appreciated! Easy, efficient, and well-priced! Very lovely! The engraving came out nicely and how I wanted. The leather box is great quality as well. 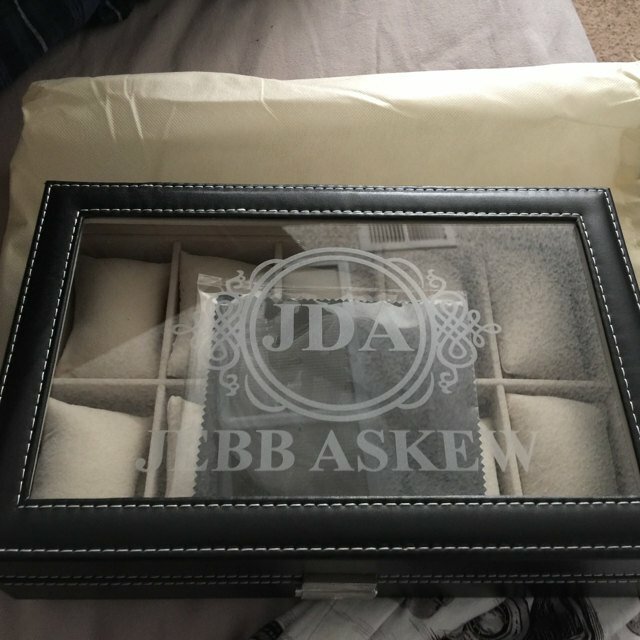 My items delivered on time! Thank you so much! 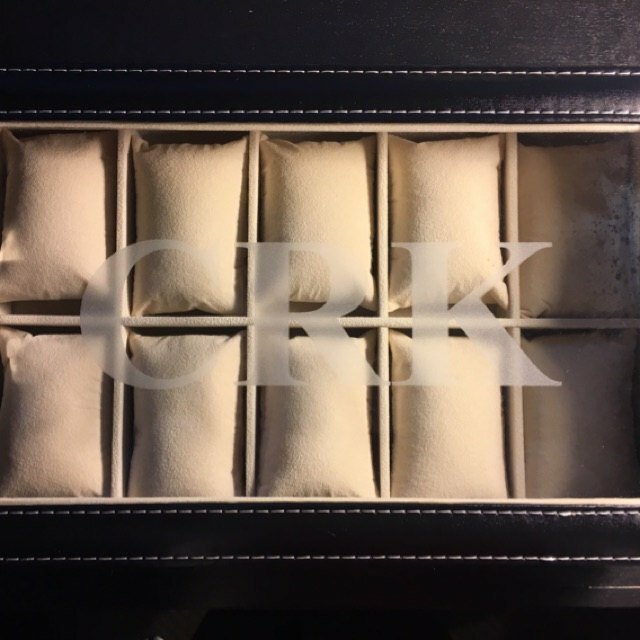 Question about Personalized Watch Box is Successfully Submitted.